“Murphy” girl Jo Jeffries decides it’s time for a change and moves to Sinful. She isn’t looking for trouble. Her aged Aunt Trix already provides plenty of that. When Trixie lands herself in the middle of a murder Jo asks the Sinful ladies for help. 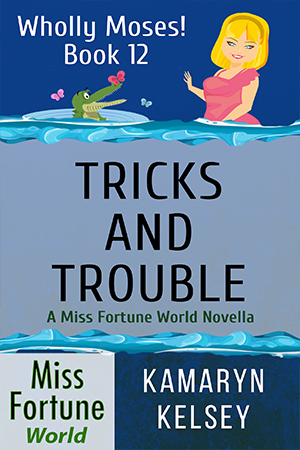 But along with Trixie’s dilemma, she has to deal with a housing mix-up, a bratty neighbor, and an old flame. Of course in Sinful things are bound to get worse before they get better.